Firstly I want to start this post with a big thank you to my parkrun family. When I messaged you all I only expected one or two to answer but actually so many of you answered. I’m absolutely overwhelmed by you all wanting to help out. So Thank You and on with the blog post. On Sunday I marshalled at the Gosport Half Marathon. I was stationed in Lee-on-Solent where I live so it was really easy for me to walk to my marshalling point. I had such a good morning. Where I was stood was mile 2, but as this was a two lap course it then became mile 6-7 meaning I got to cheer on my parkrun family and all the other runners not once but twice. In fact I got to cheer some on three times as where I was the runners then ran on, looped back and passed again behind us before starting their second loop and I was able to nip there before the front runners came back on their second loop. The race was won by Jonathon Roberts of Southampton AC in a time of 1:09:40 which was a new course record! The female winner was Ellie Monks from Southampton in a time of 1:21:36. Given the weather these times are awesome! Storm Angus blew through Gosport on Saturday night with really heavy rain and winds of 45mph so there was talk of the race being cancelled. However the weather fairy must have been smiling down as the rain stopped in plenty of time and the winds died down as each hour passed by. The finishers bags are also pretty good. 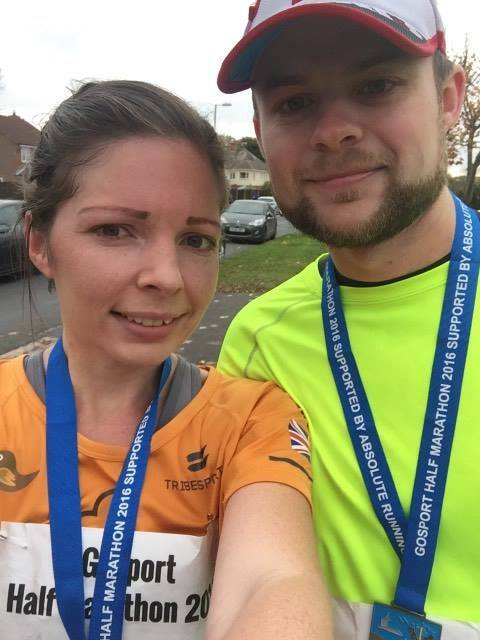 They included a Twix, Go Crispy slices, Capri Sun, bag of crisps, a banana, homemade cake, a voucher for 15% off at Absolute Running in Gosport and a material bag with the Gosport Half Marathon logo on. There was also a Gosport Half Fun Run which was 1.2km. 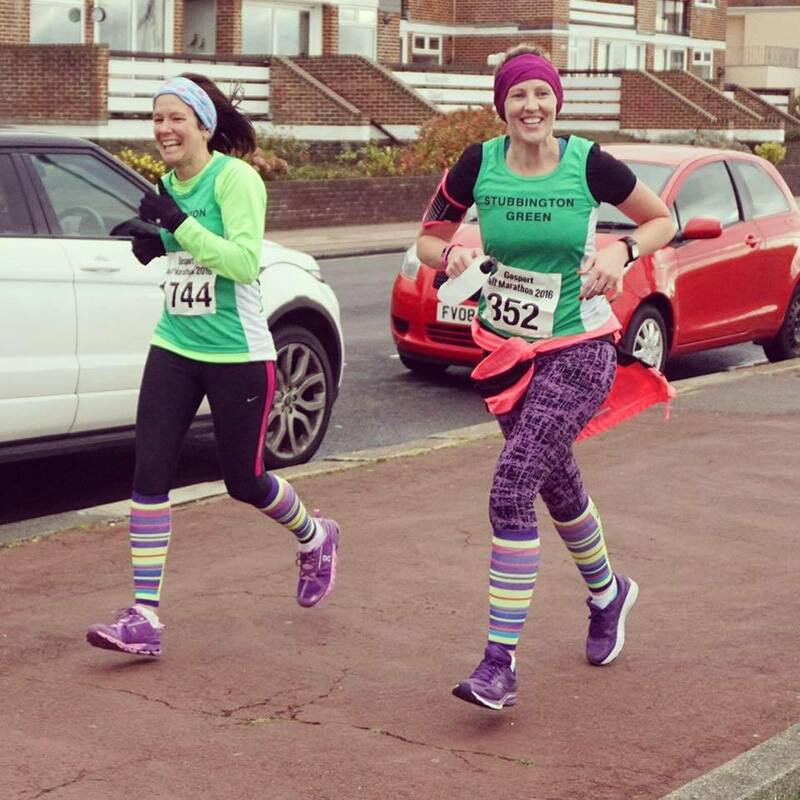 Have you ever thought of running the Gosport Half Marathon? 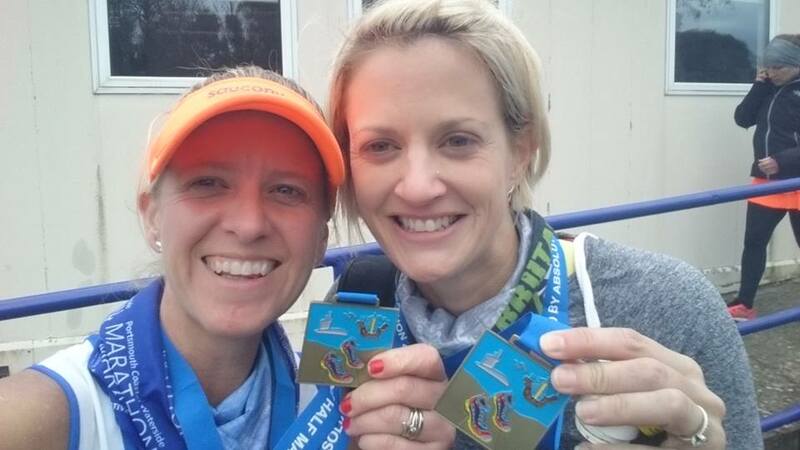 Here’s what some of the runners told me about the race. 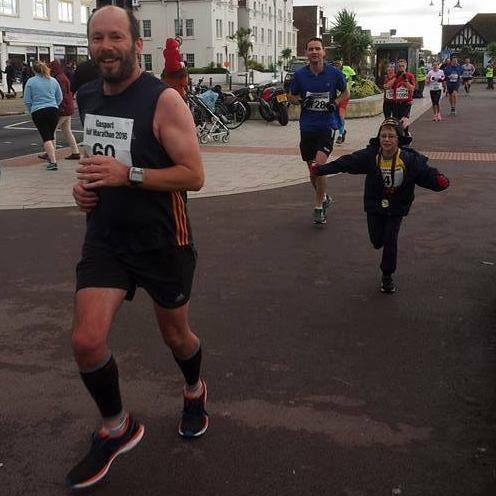 Had an amazing run at Gosport Half today. No PB however it was tough with that wind. With my mini supporters on route ready with free high fives and all the other supporters and marshals it made the run more enjoyable and just about doable. The views amazing once again, very lucky to have an amazing fantastic race on our door step very well organised. Cant say no to it 4th Gosport Half completed and sure I’ll be back again in 2017. I loved the race today – despite the wind I had a fantastic time. Route was lovely and support was incredible the whole way round. A well organised race that was just like a giant park run with lots of the usual park run marshals encouraging us around. 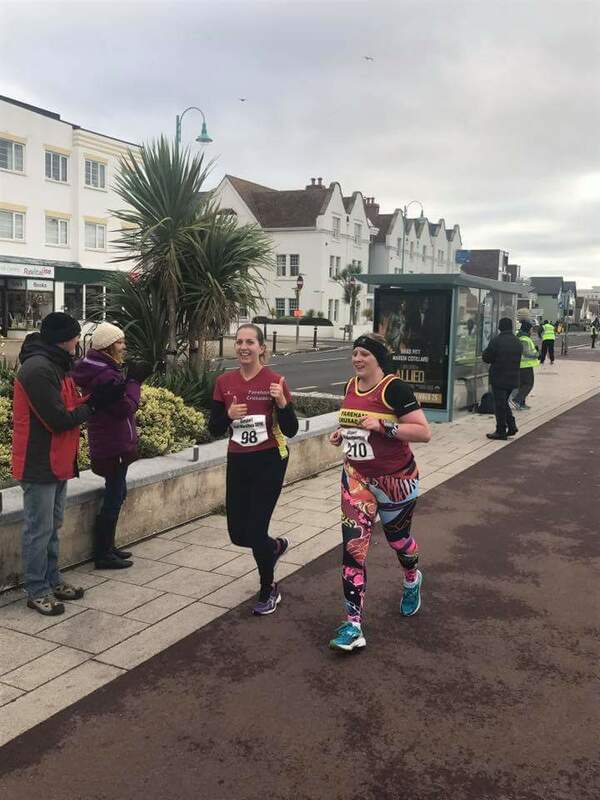 Gosport Half was very well organised by Gosport Road Runners and the local community. If it wasn’t for the road runners I probably would not of got my PB today. The goodie bag was pretty good and was so glad about the cake after battling the wind. Loved every minute of it. So there you have it, if you’re looking for a half marathon somewhere in the South you really can’t go wrong with the Gosport Half. There’s a race review coming up from one of the runners too. Look out for it!